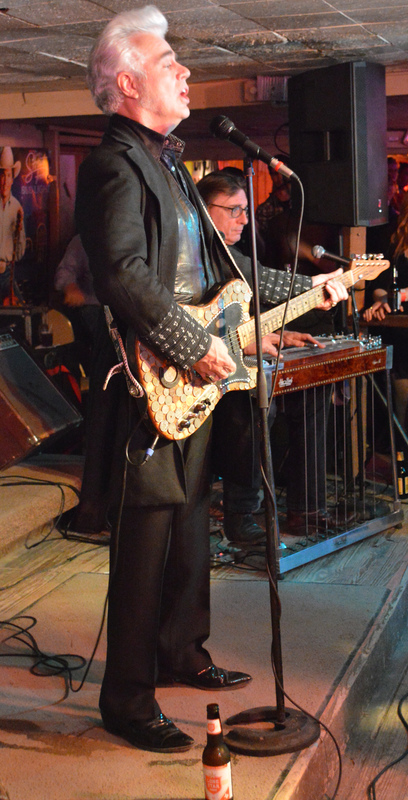 Singer and songwriter Dale Watson admits that he lies when he drinks — and he drinks a lot of Lone Star beer, a magical elixir that he says promotes good health and a long happy life. Though Watson has been performing at venues throughout Austin for more than 25 years, he recently became “an overnight sensation” with his hit single, “I Lie When I Drink,” off his El Rancho Azul album. The lyrics to his song: “I lie when I drink and I drink a lot” drew the attention of David Letterman who invited Watson to appear June 24 on the Late Night TV show. “I love those commercials man,” Watson says. “They help pay the bills” and for upkeep on his long luxury touring bus as well. Watson also has become something of “a lightening rod” spokesman for recent music controversy across the Internet. The old-timers in the music business could have spit teeth when 2012 Country Music Awards’ entertainer of the year Blake Shelton called country music “grandpa’s music” while taping an episode of Backstory in Nashville. Shelton’s words chewed on classic country performers across the state, but it in Austin he really rubbed Watson and others the wrong way. Watson and the late Ray Price before his death in December had spoken out publically about Shelton’s misperceptions. Watson ended up spearheading Austin’s own inaugural “Ameripolitan Music Awards” Feb. 19 – a 100 percent fan-funded event with 400 guests at the Wyndham Garden Hotel to honor the roots of country, western swing, rockabilly and honky-tonk music. Honorees included Johnny Bush who received the “Founder of the Sound” award. Bush also accepted and a posthumous “master award” given to Price. Other local performers honored included: Jesse Dayton, James Hand, Ray Benson, Rosie Flores, Dawn Sears, Wayne “the train” Hancock, Whitey Morgan, the Derailers and the Haybales band. “Some don’t like the roots of country music, so we just took that and named it something different,” Watson said. The popularity of Ameripolitan music began in Texas with Bob Wills, Ernest Tubb, Ray Wylie Hubbard, and the likes of Hank Williams, Lefty Frizzell, Web Pearce and Faron Young, Ray Price and George Jones, and with female performers like Rose Maddox, Jean Shepard and Jean Shepard Patsy Cline, and later Loretta Lynn and Tammy Wynette. Buck Owens, and Merle Haggard, and other honky-tonk heroes like Gary Stewart, continued to produce hits well into the 1970s and ‘80s. Watson continues to cover the great classic hits of his predecessors in live performances and has recorded his own original music on 21 albums and on Austin City Limits television show dozens of times. His latest November performance aired on KLRU-TV Feb. 8, ironically on the same night that he and his band, the LoneStars, played at the Broken Spoke. Watson shared the ACL episode with Grammy winner Kacey Musgraves. The show re-aired Feb. 13 on the same channel. He and his band have performed at the Grand Ole Opry 19 times. He plays at the Broken Spoke 3201 S. Lamar once a month and lots of Monday nights at the Continental Club 1315 S. Congress Ave.
Never one to shy away from an enterprise, Watson owns two bars: Ginny’s Little Longhorn Saloon, featuring “Chicken Sh*t Bingo,” every Sunday from 4 until 8 p.m. and Big T Roadhouse in Saint Hedwig just outside San Antonio. He manages the bars when he’s not touring or playing venues throughout Central Texas on weekends. Ginny’s Little Longhorn Saloon’s previous owner, Ginny Kalmbach, retired amidst money troubles before Watson bought and refurbished it in November. Regardless of wherever he and his LoneStars perform, Watson pretty much sings the same song set – including his original tunes, as well as the classic cover songs of Bob Wills, George Jones, Merle Haggard, Ray Price – a lot of Price, — and Johnny Cash. Watson’s career has spanned the whole gamut of country and western music from the 1960s to the present, with all of its dips, dives and flows. His quirkiness for flamboyant satin and sequins costumes, a fondness for personal tattoos, and his shocking head full of white hair styled in ‘50s rockabilly pompadour fashion, makes him a standout among his middle-aged peers. Texas’ disco years briefly followed the 1980 dramatic western romance movie, Urban Cowboy, starring John Travolta and Deborah Winger. 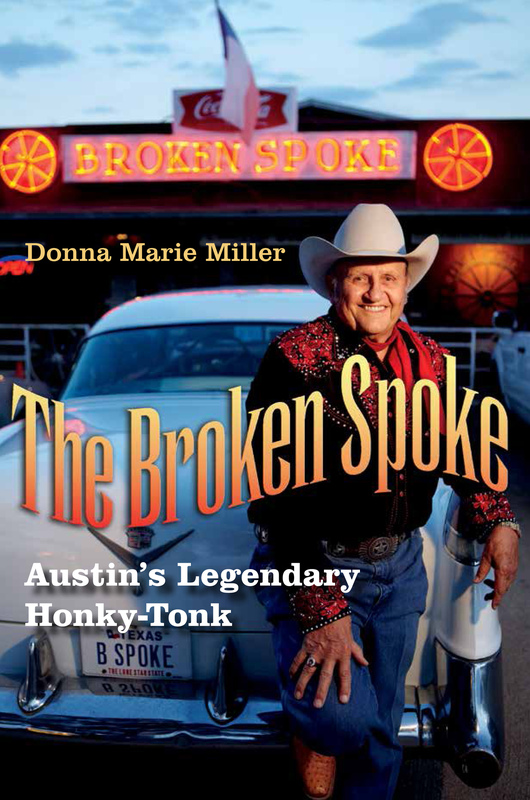 Most club owners hired deejays to spin records and for a time some local clubs quit hiring bands to play, but the Broken Spoke didn’t. He first performed at the Broken Spoke in 1989, with members of The Wagoneers, before Monte Warden, Brent Wilson and Craig Allen Pettigrew broke up that band. Not long after establishing a name in town, Watson released his first single “One Chair at a Time,” in 1990 on the Curb Records label and he followed by producing a video. Watson started sitting in on stage with Chris Wall before finally creating The LoneStars in 1992. About that time, he landed a regular Wednesday night gig at the Broken Spoke. “I’ve worked hard — over 33 years playing,” Watson says. His career began in his hometown of Pasadena, Texas. Watson began performing in clubs at 14 years old, along with two of his older brothers, Jim Watson, who played guitar, and Donny Watson who at different times played either guitar or bass. The Watson brothers called their band Classic Country, named after the popular PBS television show, The Classic Country Hour. Watson’s musical passion has always been classic country music, but he says some of his early performances wandered far from his roots. During the late 1970s and early 1980s, in order to find steady work, he played whatever his audiences demanded — the radio hits of the late ‘70s and ‘80s in country music. During the disco era, Watson continued to perform cover songs by George Jones, Gary Stewart and Ray Price. Stewart died in 2003 and Price passed away last December. Watson says that fans come out to hear him specifically, but the Broken Spoke’s loyal following of dancers will show up regardless of whoever performs on any given night. Lots of celebrities have shared the stage with Watson over the years at the Broken Spoke: every one from Johnny Knoxville to Amy LaVere, Johnny Rodriguez and Johnny Bush used to sit in regularly too, but not so much recently, Watson says. As a youngster, Watson says he never intended to become a musician, singer, or songwriter. As a boy he dreamed of joining the military or becoming a doctor, but childhood poverty and an eye injury instead decided his fate. Watson supported himself by performing gigs in bars every chance he had, week nights and weekends. His two daughters, Raquel Cain Watson and Dalynn Grace Watson, both work as actresses, even though Watson wishes they wouldn’t, he says. The music business may be tough, but life for an actor can be even tougher. Watson signed with Hightone Records in 1994 and produced his first album, Cheating Heart, in 1995. He recorded two records in Nashville in 2002 and 2008, but since then all of his other albums have been recorded locally at Willie Nelson’s Pedernales studio or Ray Benson’s Austin studio. Currently, he spends most Tuesdays and Wednesdays working on a new album that will become Volume 3 of the trilogy series, The Trucking Sessions. Watson’s steel player Don Pollock, has performed with him for the past 11 years. Watson says in his 50s now, he’s working harder now than he did half a lifetime ago. Watson says he feels grateful to the Broken Spoke’s owners, James and Annetta White. The Broken Spoke received “the best venue” trophy at the Ameripolitan Awards for helping to support the roots of country, swing, rockabilly and honky-tonk music across the United States. The nearly 75-year-old James White, spontaneously broke into the song, “Sam’s Place,” when accepting the award on stage and nearly stole the show at the Ameripolitan Music Awards. Watson performs at: The Broken Spoke, The Little Longhorn Saloon, The Continental Club, Sengelmann Hall in Schulenburg, TX, The Saxon Pub, 11th Street Cowboy Bar in Bandera, Tomball Honky-Tonk Fest in Tomball, Big T Roadhouse in Saint Hedwig, and Luckenbach Dance Hall in Luckenbach.